I had the pleasure of interviewing John Prisco, who is President and CEO of Quantum Xchange, a provider of quantum encryption and secure communications. This endeavor is a long-time passion come to fruition for Prisco, who is helping to create the first dark fiber, Quantum Key Distribution (QKD) network in the United States. 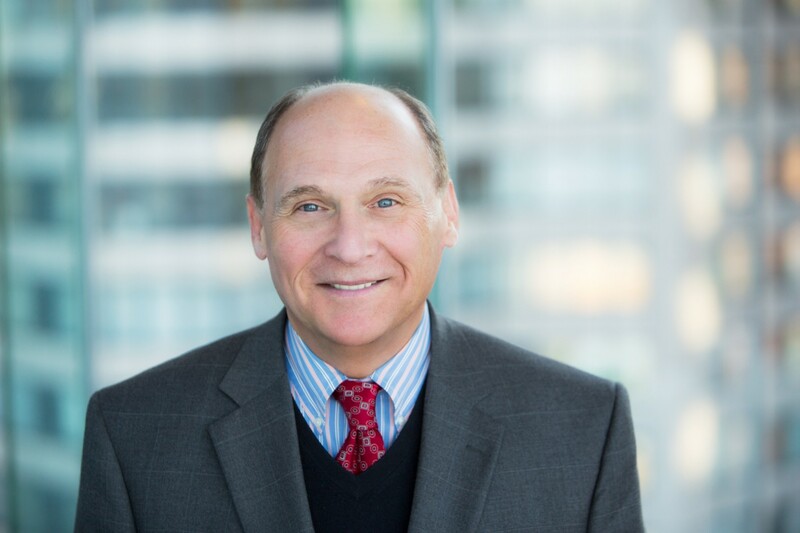 John Prisco’s 30-year career and depth of experience in telecommunications, cybersecurity and quantum physics are ideally suited to lead Quantum Xchange and its customers, partners, investors, and employees through the emerging era of quantum computing and the future of encryption. He is working closely with established researchers and academics to educate the market on the need for a defensive solution to the offensive weapon of quantum computers, and to protect future generations from having to worry about their encryption keys again. Jean: What is your “backstory”? I am a second generation American. Coming from a blue collar family I understood the work ethic required to be successful, so I embodied that throughout my young life and eventually had the opportunity to attend Columbia University for my undergraduate degree and MIT for grad school. After many years in the telecom industry, I saw growing potential in the cybersecurity space. In the early 2000’s, I jumped aboard Triumfant into a management role, where I was committed to redirecting the team from a help-desk oriented focus into a cyber security company. We then began focusing on detecting and preventing security breaches from an endpoint position, where other companies were neglecting to look. I helped provide the oversight necessary to bring Triumfant to the forefront of the industry a few years later. At that time our platform began out performing established companies in the industry. I was driven to bring Triumfant into the security space because too many businesses were complacent with their approach to security and leaders were using outdated methods and definitions of protection. Jean: Can you share the funniest or most interesting story that happened to you since you began leading your company? In late 2017, as I was negotiating the terms of a business agreement in the Swiss Alps, we got caught in a 6-foot snowfall. Experiencing controlled avalanches wasn’t exactly funny at the time as we watched and heard explosions all around us, but looking back that was definitely not a typical way to have a business meeting! With so many companies in the security space, products wind up sounding and seeming very similar to one another. It’s difficult to even land a call with a Chief Information Security Officer who is fielding 50 calls from companies doing similar things. What is so interesting about Quantum Xchange is that this is the first time anyone in the United States has tried a completely different approach to guarding sensitive data, relying on quantum physics. It is an opportunity to do groundbreaking work, be a first, and solve a huge problem as evidenced by the fact that every week, we are reading a story about people’s data being stolen. When I was 22 years old, first learning about quantum physics and the properties of photons and the uncertainty principle, I never thought that 40 years later I would be able to apply these principles in such a meaningful way. Jean: Are you working on any new or exciting projects now? I am glad you asked! Quantum Xchange officially launched in June 2018, and is building the first dark fiber, Quantum Key Distribution (QKD) network in the United States. Our goal is to provide the most sophisticated data protection available to address the shortcomings of today’s encryption standards, which are threatened by the imminent rise of quantum computers. The arrival of quantum computers will arm nefarious actors with machines powerful enough to crack the toughest Internet security ciphers in just seconds. Even stolen data that is protected by Secure Socket Layer (SSL) will be easily deciphered by quantum computers in the not-so-distant future. In contrast to current public-key cryptography protocols for secure data transmission, which are rooted in mathematical algorithms and inherently breakable, quantum keys rely on the fundamental properties of quantum mechanics to physically transfer a shared secret between two entities. By wrapping an encryption key with a photonic quantum key, the photon’s multiple quantum states and no-observation attributes, prevent the transmission from being unknowingly interrupted, corrupted, cloned, or exposed. As the first commercial QKD solution in the U.S., Quantum Xchange exclusively owns the distance enhancing Trusted Node technology developed by Battelle which can extend the QKD range indefinitely using 100-kilometer multiples, making large-scale QKD over long distances possible and practical. The Trusted Nodes use quantum keys generated by QKD devices from ID Quantique, the Swiss leader in quantum communications, under an exclusive US licensing agreement. Highly regulated, high-risk organizations, including those in banking, critical infrastructure, telecommunications, healthcare, and government are ideal candidates for Quantum Xchange’s distance enhancing QKD solution. It requires no changes to current encryption tools or protocols and can be implemented today. Jean: What advice would you give to other CEOs or founders to help their employees to thrive? Everyone benefits from the entrepreneurial spirit, and people who work in these companies make a difference. It’s important to give your employees spirit and drive, and let them know that their input counts, is welcome, and that they matter to the overall success of the company. Jean: None of us are able to achieve success without some help along the way. Is there a particular person who you are grateful towards who helped get you to where you are? Drew Lewis, former Secretary of Transportation under the Reagan administration, was a great mentor to me. He taught me the lesson of being able to quickly and concisely convey a message and get a response in 5 minutes or less, or you might never get a response. If you couldn’t do that, you might lose the opportunity entirely and that has proved invaluable to me throughout my career — Drew had a real impact on me. Definitely by protecting companies and consumers from harm. I have worked with teams that detected and prevented what would have been very public breaches, and protected many consumers and companies from data breaches that would cause life altering changes such as identities being stolen. Jean: What are your “5 Things I Wish Someone Told Me Before I Became CEO” and why. Choose your VC wisely — not all are created equally. Make sure that they are of the same caliber of your team and are able to perform. Never run out of money because then you are thrown into a pit of vipers and alligators waiting to profit off of your lack of funds. Your most important hire is always your most senior person responsible for sales and revenue — get an extraordinary SVP of Sales. Never say you have a fully funded plan — this is a trap. There is no such thing. You always need more money to take advantage of greater success or to recover from slowly developing markets. Always celebrate people’s successes in a public way — conversely, don’t be afraid to help people leave the company and do something they are better suited for. They shouldn’t need to be in a position where they aren’t cutting it. Jean: Can you please give us your favorite “Life Lesson Quote”? Jean: Some of the biggest names in Business, VC funding, Sports, and Entertainment read this column. Is there a person in the world, or in the US whom you would love to have a private breakfast or lunch with, and why? He or she might just see this! I’d love to meet Elon Musk. I like the idea of succeeding against all odds. When I saw those two rockets land precisely on the right target at the same time, I thought that was incredible. He’s not afraid of long odds and he likes competing against the odds. He’s taken those chances and saved the US space program in an era where NASA was defunded. He is currently facing adversity and I believe he will recover.